NSW Government purchased 4,400 m2 of privately owned land, previously designated ‘county open space’ to avoid development on this steeply sloping land which juts into the reserve. This bushland was incorporated into the reserve. Backyard bush friendly program – advised nearby residents about weed identification and control. 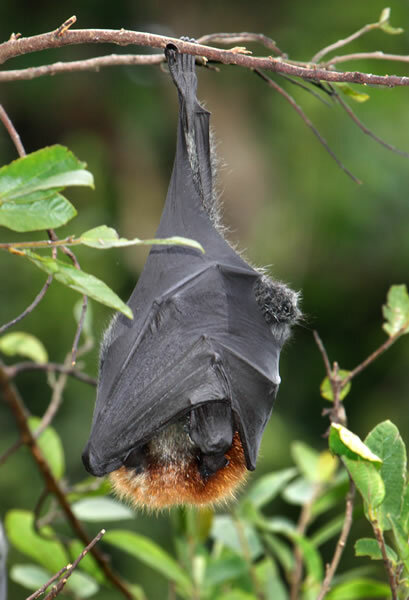 The name Ku-ring-gai Flying-fox Reserve was adopted by the Geographical Names Board. Ku-ring-gai Flying-fox Reserve was protected by a Conservation Agreement signed in February by the NSW Minister for Environment, Tim Moore, and the Mayor of Ku-ring-gai, Richard Lennon. The Conservation Agreement is attached to the title of the land and operates in perpetuity. It commits Ku-ring-gai Council to restore and maintain the habitat of the grey-headed flying-fox in the reserve and the Minister to assist with provision of technical advice and financial assistance to the owner to ensure provision of education opportunities and interpretation for the public regarding the flying-foxes. In January Ku-ring-gai Council and NSW Government (using Heritage Funding) jointly purchased two lots of the subdivision at 18 Edward Street to protect the flying-fox camp. Cost of the purchase was $185,000. Ku-ring-gai Municipal Council commissioned R. Buchanan, ecological consultant, to survey Council’s bushland. In the report, ‘Municipality of Ku-ring-gai Bushland Management Survey Report’ section D, page 29 Stoney Creek Reserve – the flying-fox camp, is listed as one of the Reserves of Highest Ecological Value. Ku-ring-gai Council approved subdivision of 18 Edward Street. The flying-fox camp occupied part of this subdivision. Following public opposition to the subdivision approval, the Minister for Environment and Planning issued an Interim Conservation Order on the site to permit an investigation by the NSW National Parks and Wildlife Service (NPWS) and report on the flying-fox habitat. Stony Creek was renamed Stoney Creek and registered by Geographical Names Board. Grey-headed flying-foxes were camped near Lady Gowrie Nursing Home and 18 Edward Street, Gordon (McWilliam, 1984). Flying-foxes camped near Browns Waterhole in Lane Cove River valley, about 6 kilometres west of Stoney Creek valley, which they used seasonally. Bushfires reported in the lower part of the valley near Bell Street. Bushfires were reported by residents to have occurred causing some damage to property. Water Board installed a major trunk sewer along the valley.